MALAGA have enraged Barcelona by suggesting they could let Real Madrid pip the Catalans to the league title. While Barcelona currently top the division, Real Madrid have a game in hand and are level on points in a delicately poised title race. The Costa del Sol club host Madrid on the final day in what could be a decisive fixture for the title. Comments from coach Michel and a tweet from owner Sheikh Abdullah Al-Thani have suggested Malaga would prefer Real Madrid to win and not Barcelona. 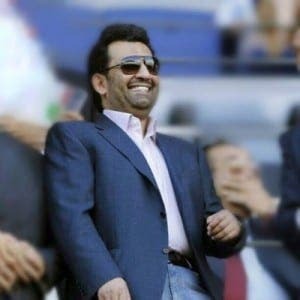 Michel, who played for the Madrid side for 14 years, claimed he was still a fan of the club, but it was owner Al-Thani who made the most controversial comments. This prompted a furious response from FC Barcelona, who have now released a statement expressing “rejection and indignation”.